The Basic Principles and Usage of Thermocouple - SILVER AUTOMATION INSTRUMENTS LTD. 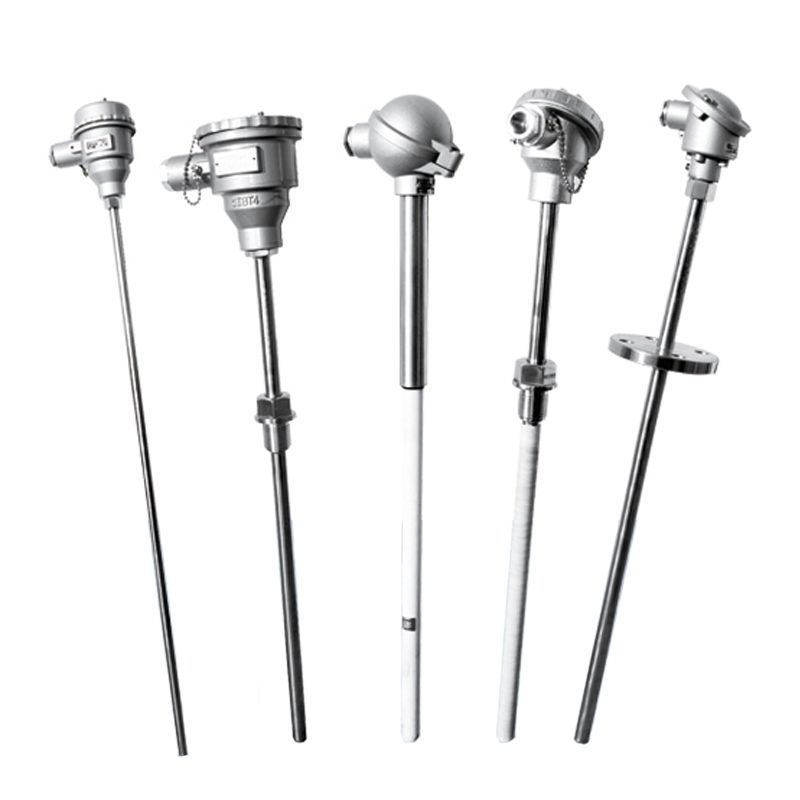 The common used industrial thermocouple have graduations with S、B、K、E、T、J, which are the standard thermocouples. Among them, the K type, that is nickel chromium—nickel silicon thermocouple is a not expensive one that can measure high temperature. Because this alloy has a better resistance to oxidation in high temperature, it is fitted for oxidizing or neutral medium. In addition, it can measure the high temperature with 1000 degree for a long time. And for short time, it can even measure 1200 degree. However, it is not able to be used in reducing medium; otherwise, it will be decayed quickly. Under this circumstance, it can only be used to measure the temperature under 500 degree. The cost of thermocouple is much cheaper than S-type thermocouple and it has a good repeatability. It has a high sensibility for it can produce large thermoelectric potential. And its linearity is rather good. Even though its certainty of measurement is a little lower, it can completely meet the requirements of industrial temperature measurement. Thus, it is the most common used thermocouple in industries. As one of the most widely used temperature sensors in industrial temperature measurement, industrial thermocouple occupies nearly 60% of the total amount in industrial temperature measurement with the platinum thermal resistor. Thermocouple is usually used accompanied with display instrument, it can measure the surface temperature within -40～1800℃ of liquid、vapor、gas medium and solid in the various productive process. Two ends of two kinds of different components conductors( that are called thermocouple wires or thermoelectric poles) composite into the circuit. When the temperature of the joint is not the same, the circuit will produce electromotive force, which is named as thermoelectric effect and this electromotive force is called thermoelectric potential. The thermocouple is exactly using this principle to measure the temperature. Among this, the one end that can be used directly to measure the temperature of the medium is work end( it is also called measurement end). The other end is the cold end(it is also called compensating end). When the cold end is connected with display instrument or matching instruments, the display instrument can indicate the thermoelectric potential which is produced by the thermocouple. (1) The thermoelectric potential of the thermocouple is the difference of temperature function at both ends of thermocouple rather than a function of the difference because of their temperature. (2) The size of the thermoelectric potential produced by a thermocouple has no relation with the length and diameter of thermocouple when the materials of it is even. In this situation, it is related to the components of thermocouple’s materials and the difference in temperature at both ends. (3)When the components of materials of the two thermocouple wires in thermocouple are made sure, the size of thermocouple’s thermoelectric potential is only related to the difference in temperature of the thermocouple. If the temperature of the cold end of thermocouple remains certain, the thermoelectric potential that goes into thermocouple is the uniformed function of the work end’s temperature. The basic structure of industrial thermocouple includes thermocouple wires、insulating tube、protector tube and connecting box, etc.